Order in the next 1 hour, 18 minutes an 35 seconds for same day shipping. 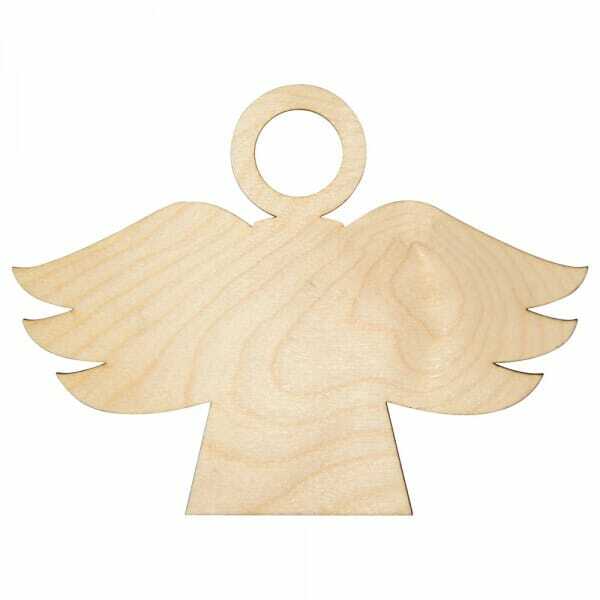 The wooden angel craft shape, created from 3mm of Birch wood, can be coloured, glittered or glued to suit your specific craft activities. The angel comes in many different sizes ranging from 25mm to 250mm, allowing you to choose the correct size to enhance your arts and crafts projects. Customer evaluation for "Craft Shapes - Angel"